It was a dark and stormy night… Tatu and Patu and their friend Veera gather to tell strange and scary stories about odd characters and unusual events, such as The Unbelievable Tale of Drandruff and The Frozen Lightning. Even a few monsters will make an appearance. A collection of exciting comical fables will keep five-year olds and older readers hooked. Book number 21 in the popular Tatu and Patu -series. Most recently the rights have been sold in Denmark, Hungary, Russia and Turkey. 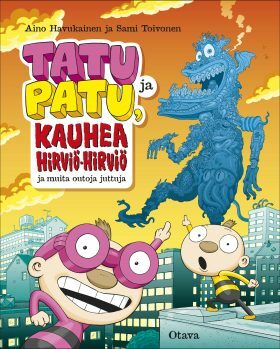 Tatu & Patu series has been published in 27 languages in 23 different countries.